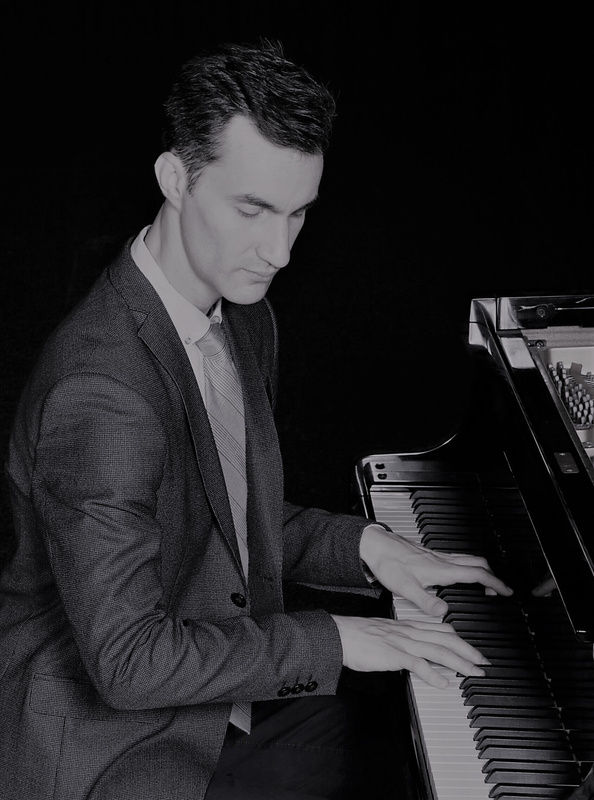 Eric Siepkes studied piano performance at the Eastman School of Music in Rochester, NY for his Bachelor of Music Degree, where he was awarded the Howard Hanson Scholarship and the George Eastman Grant. After reading C.P.E. Bach's Essay on the True Art of Playing Keyboard Instruments, he was inspired to explore early music performance practices and began to study organ and harpsichord as secondary instruments. He later continued his piano performance studies at the Mannes College of Music in NYC with Professor Irina Morozova, his most influential teacher and mentor. Siepkes has performed in master classes for Richard Goode, Angela Hewitt, and Natalya Antonova, and has played in chamber music master classes for London Baroque, the Avalon String Quartet, and the Eroica Trio. Chamber music has been an important aspect of his artistic development. During his pre-college studies at City Music Center, Duquesne University, his chamber group was selected for a live performance on WQED Radio Pittsburgh. Future collaborations have included duo performances on WFMT Chicago, in a live broadcast of the Dame Myra Hess Memorial Concert Series. Promoting awareness of the importance of the humanities and the arts, and a well rounded approach to music education are particular concerns and interest for Mr. Siepkes. Programs that he has helped to present include a Mozart Festival at the Allegheny River Stone Center for the Arts near Pittsburgh, PA which included an emphasis on educational outreach to local public schools, as well as informal lectures and performances for the general public. As a journey through Lent, he co-organized a series entitled Meditating Bach, in which he collaborated with colleagues in performing Bach's Six Sonatas for Violin and Clavier, and gave an informal talk on the influence that Bach's Christian faith had on his compositions.